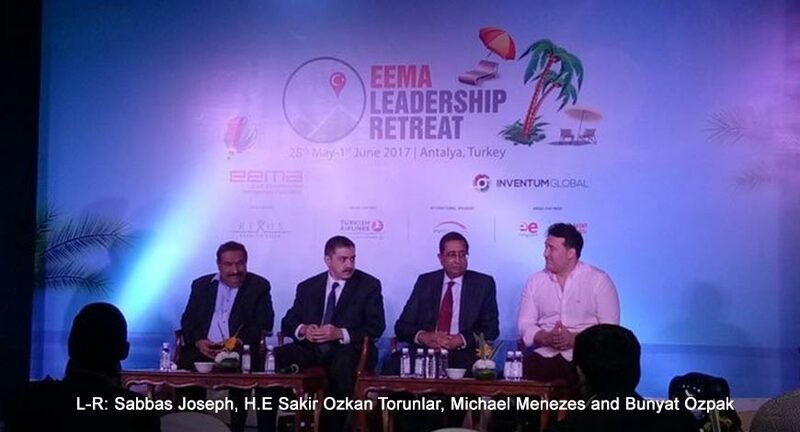 A press conference convened at Le Meridian New Delhi on 25 April 2017 to announce the schedule of the upcoming Event and Entertainment Management Association (EEMA) Global Leadership Retreat to Antalya, Turkey. This initiative is aimed at boosting the outbound travel from India to Antalya by ensuring more weddings, MICE and corporate events are organized in the beautiful coastal city. The Ambassador of Turkey to India H.E Mr Sakir Ozkan Torunlar attended the press conference along with representatives of EEMA, India’s apex national consortium of event agencies, and Inventum Mice, Turkey’s largest MICE operator. The EEMA Global Leadership Retreat will be held from 28th May to 1 June 2017 at Antlaya and is being supported by Turkey Tourism, Turkish Airlines and Hotel Rixos. The retreat shall familiarize Indian event planners with Antalya’s infrastructure and local attractions enticing them to consequently plan their events in the city. Antalya boasts of hosting 15 million tourists and 20,000 events every year thanks to its huge inventory of 500 hotels, most facilities averaging 1000 rooms each. Tourists from Europe, Russia and UK increasingly frequent the beach town but number of Indian travellers recorded has been negligible. 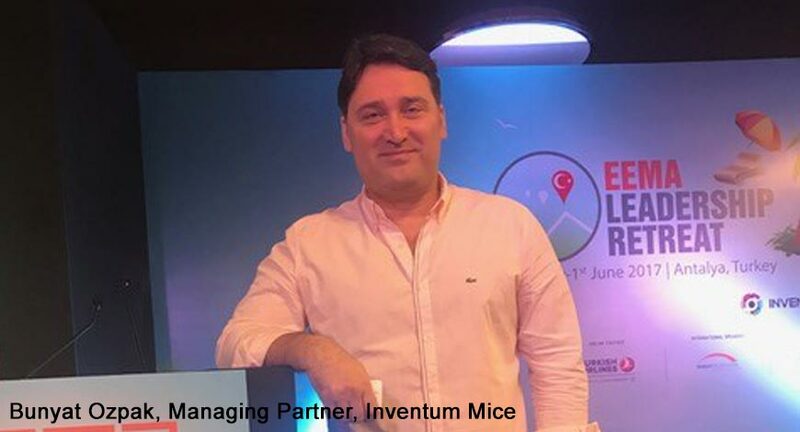 Stating the reason for this Bunyat Ozpak, Managing Partner, Inventum Mice stated, “Indians are not aware of Antlaya, they cannot visualize the place. When one thinks of Milan or Barcelona, he can visualize these places even though he may have never visited them. But since awareness about Antalya is lacking, tourism from India has been slow.” Emphasizing on the affordability aspect Ozpak says that an all-inclusive (flights, meals, stay, entertainment, transfers) budget of 700 USD per person is sufficient for a luxurious four-day getaway to Antalya. Sabbas Joseph, President, EEMA stated, “The Indian event industry has grown from strength to strength over the past few years. Not only are our event planners at par, or even better than several international event agencies, but we are increasingly thinking out of the box and exploring new possibilities. As President EEMA, I am looking forward to engaging with the business leaders across the industry and with the international delegates and speakers.". 2017 is incidently the tenth year since EEMA was founded. Reminiscing over the journey Joseph added, "The tenth year anniversary of EEMA will be celebrated in Antlaya this year but the tenth year of EEMA is not just about celebration. It’s focused on using this as a fresh starting point for the industry. It’s a time to rewire, rethink, re-engineer and re-imagine. It’s time to go for The New! I’m thankful to Tourism Turkey and Inventum MICE for hosting us and am certain this association will bear fruits in many forms." Speaking about his expectations from the retreat Joseph concluded, "I am looking forward to challenging myself and our already set thinking with insightful ideas and concepts. The speakers and the topics are inspiring and are set for forward thinking, next steps, and invite one to look at the next-generation ideas and challenges. Most important, it’s the first time when EEMA leaders and their families would be joining an EEMA conference. Most often in pursuit of our growth and dreams, we ignore our families and they bear the brunt of our failures while we celebrate our successes with our teams and clients. The retreat could be a great time for family bonding just as much as a never-better time to rethink your business strategy with a clear sight of tomorrow. On the content front, the speakers and topics are exciting. I’m most excited about Ashish Bhasin, Graeme Codrington and the guru of business leaders- Marshall Goldsmith."